Our most important raw material is high-quality Odenwald granite. We extract it in our own quarries through elaborate selection and process it ourselves. The regional granite has outstanding properties. It is particularly light, non-slip and durable. Through regular petrographic reports and core drilling, we check the quality and yield of the stone in the individual mining zones. This enables us to provide our customers with long-term forecasts on the availability of their preferred products. We inspect the steep walls in the quarry on a weekly basis. We analyse the color and surface structure already in the run-up to production, and determine for which field of application the material is particularly suitable. Not only the quality of the source material is decisive, but also how the raw materials are processed and refined. At RÖHRIGgranit®, the added value is particularly high. We use our own finishing processes, which we have developed to meet the special needs of our customers for many different applications. Our employees control and document the production process of each individual batch. We ensure the quality of our products through regular quality controls. We supplement our factory monitoring with external audits, for example by the Road Research Institute of the TU Darmstadt. 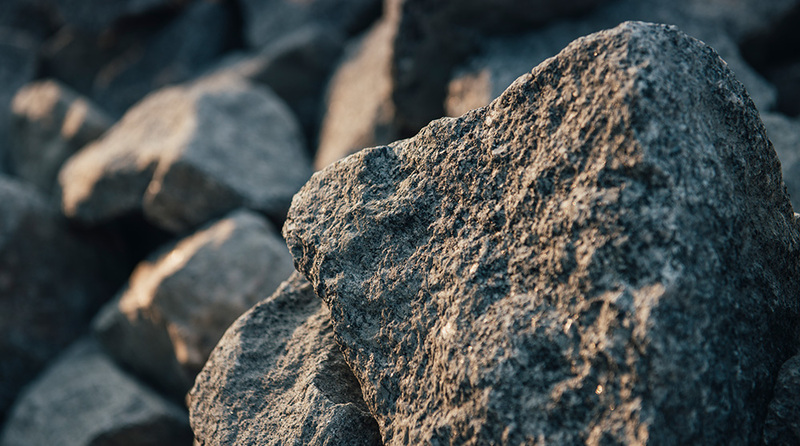 RÖHRIGgranit® is certified according to ISO 9001:2015, and received its EMAS certificate in 2014. EMAS is the highest European award for systematic environmental management. 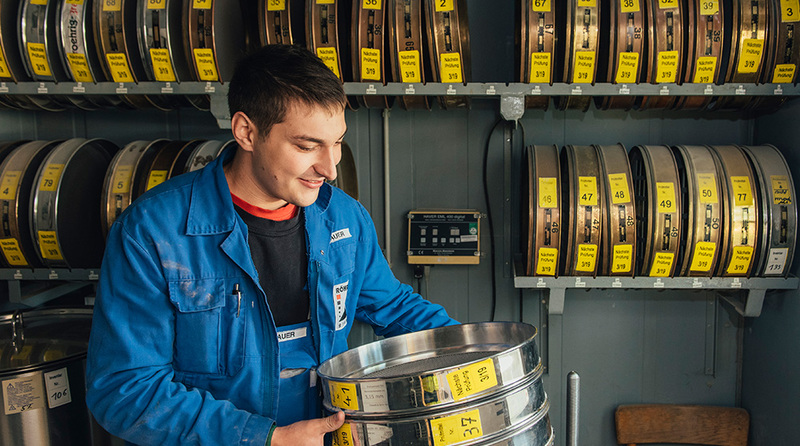 Our in-house production control is carried out continuously at RÖHRIGgranit®. It ensures that the manufactured products meet the requirements of the relevant technical regulations. In addition to the in-house production control, voluntary product inspection is carried out by the Test Institute for Road Engineering of the TU Darmstadt. Thus, we ensure a constant quality of the products. The main plant of RÖHRIGgranit® is located in Heppenheim-Sonderbach. Since 1957, we have been mining granite in the Lärche quarry and, since 1964, in the much larger Gehrenberg quarry. There is no better granite in Germany than that from the Heppenheim region. It is a coarse crystalline granodiorite of high solidity, with an intensive coloring and an eye-catching structure. This makes it a particularly precious raw material. The main rocks and the dark inclusions are massive, medium to coarse-grained, and feature a random distribution of the crystals. This makes our granite interesting for designing visually attractive surfaces such as exposed concrete, floors, worktops, and plasters. However, Heppenheim granite is also completely crystallized, the bounding surfaces between the crystals are completely interlocked. This property gives it exceptional firmness, makes it rust-proof, weather-resistant, and resistant to de-icing salt. Thus, it is also ideally suited for road construction.